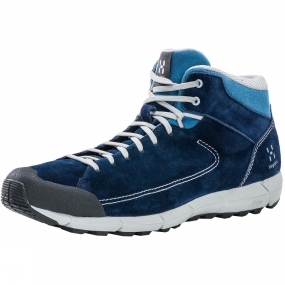 The Mens Roc Lite Mid Boot from Haglof is a comfortable suede shoe, made for everyday use. A protective rubber feature on the toe lends durability without affecting the smart style. This shoe is also a more sustainable choice, with a midsole made from sugar canes and leather from a eco-friendly audited tannery. Sustainable and long lasting-overall, a better choice.